Does DHM work for hangovers? So how does DHM come into this? Are there any other health benefits of DHM? Whats the best way to take DHM for hangovers? How much DHM do you need to prevent hangovers? Dihydromyricetin is a herbal ingredient which is making waves in the “hangover cure” world, with several companies including it in their supplements with one main aim – preventing hangovers. Promising research has shown that Dihydromyricetin (also known as ampelopsin) increases your livers ability to break down alcohol, reduce liver damage and ultimately reduce hangover symptoms. 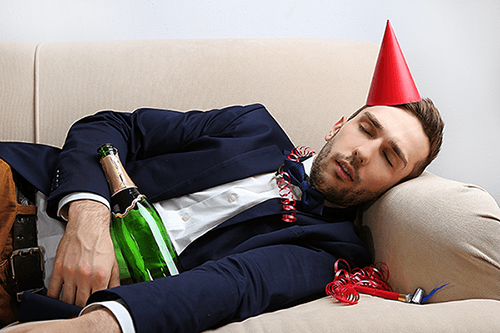 If you’re someone who suffers badly from hangovers, you’ll want to know everything about DHM and what it can do for you. Is DHM the answer to your hangover woes? What is Dihdromyricetin and where has it come from? Is it safe to take and are there any side effects? What are the best ways to take DHM? Dihydromyricetin is actually the active ingredient of “hovenia dulcis” which is the latin name for the oriental raisin tree. Just to make things a little more complicated DHM is also known as ampelopsin. 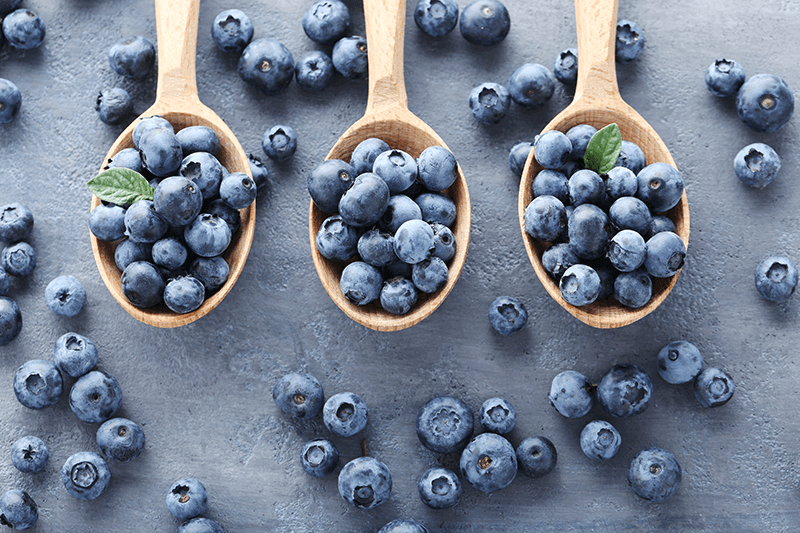 DHM / ampelopsin is a flavonoid compound which has potent antioxidant and anti-inflammatory properties – and this is key to its positive health benefits. The oriental raisin tree has actually been used for hundreds if not thousands of years in eastern medicine to help with digestive symptoms and as a hangover antidote – but without actually knowing how it works. Recently, a few studies have been published on DHM’s use in hangover prevention with some interesting results. As a result, hangover supplements have included it as their main ingredient. But what exactly did the scientists find out? This brings us nicely onto the next section where we examine the research for you. To answer this questions, we’ll first go over why we get hangovers in the first place so we can fully appreciate DHM’s powers. Dehydration – its a diuretic which means it makes you flush out more fluid than you’re drinking. In fact, for every glass of wine you drink, you’ll pee out an extra 20% fluid. We’ve all experienced the endless toilet runs and never ending queues to get into the toilet on a night out – well alcohols diuretic actions explains this. Free radical damage – When you drink, your body breaks down alcohol into toxic waste products. The main one, which is probably the cause of most of your hangover symptoms, is called acetaldehyde. acetaldehyde is a free radical which damages every cell it comes into contact with and hence making you feel like you’ve been hit by a bus after a big night out. Alcohol is a toxin – Theres a good reason why alcohol is used in hand sanitizer and disinfectants, it’s because its toxic. Of course – the alcohol you drink is very different to disinfectant, but the underlying fact is that it damages your stomach lining. This is why you feel queasy and nauseas after a big session. Well, researchers in California tested DHM on rats and found some interesting results. We’ve compiled them into the infographic above. They tested this by checking the rats “lighting reflex” – when you turn rats around onto their back, they will naturally flip over. They knew the rats were drunk when they stopped doing this and opted to stay on their backs – sound familiar right? When the rats were given alcohol and DHM at the same time, they found that the rats kept flipping. This suggests that DHM may block alcohols sedating effect on the body. Secondly they found that the rats cleared alcohol from their blood stream much faster when they were given alcohol with DHM. Now this is one of the key reasons why DHM is such a good ingredient because its the buildup of alcohol and its toxic by-products which make you feel terrible after a night out. If DHM speeds up alcohol breakdown, then you’ll have less in your blood stream while you sleep and feel fresher when you wake. Initially when they started giving alcohol to the rats, they kept coming back for more as they seemed to like the effects – who can blame them? After they gave the rats DHM, they seemed not so keen to go back for more. This suggests that DHM could reduce alcohol seeking behaviour. The less you drink, the less likely you’ll have a hangover. It’s important to note that this research study was done in rats so you cant really directly compare this to how it’ll work in humans. However its pretty interesting stuff. So have there been any human studies into DHM? Well, overall there are 11 studies on DHM at the time of writing. We’re going to take a closer look at these studies next and condense the facts for you and find out what the best research to date shows. There have only been a handful of human studies and they’ve all shown that the test subject had improvement in their hangover symptoms. But to be quite frank – the standard of research is low. For example, one of the studies that showed improvement had a sample size of 26 people. In research terms, this is tiny and no one can confidently draw definitive conclusions from this. Also, it’s pretty hard to test actual improvement in hangover symptoms as everyone experiences them differently. The only way they can do the research is with questionnaires – which isn’t great. The majority of the studies are carried out on animal models and most have shown positive effects. Although this is encouraging, you always have to be aware that you can’y directly compare rats to humans for obvious reasons. So whats the verdict on the current research? To put it straight, the research is limited at best, but there are some promising signs that DHM works for hangovers. After all, most research normally starts in animal models and hopefully we’ll see bigger research projects in humans so that we can get better data. Although the research into DHM and hangovers is sparse, there have been some really top quality papers published. A paper published in nature showed that DHM was able to kill off certain liver cancer cells – which is really quite impressive. A paper in nature is no joke as its one of the most highly regarded publications in the world. Other studies have shown its anti-inflammatory and potent anti-oxidant properties. This is great news when it comes to hangovers as most of the symptoms are caused by the toxic by-products of alcohol which DHM should help clear up. So just to recap, the research suggests that DHM works by increasing the clearance of alcohol from your system as well as neutralising the toxic by-products. This means that it’s really important to take DHM before the hangover has started in the first place. Once you’re already hungover, the damage is done and theres nothing much that will help. This is because acetaldehyde (the main toxin that causes hangovers) has damaged all the organs in your body as it flows through your blood over night before being cleared from your system. Therefore taking DHM before going to bed or towards the end of your night is absolutely crucial – there is literally no point of taking it in the morning after a big night out. So whats the best way to actually take DHM? Well you could always buy the herb in the raw form and infuse it with your favourite cup of tea – however, as you can imagine, this would be very difficult to do after a night out. Also, you’ll only get tiny doses of DHM in your tea and it’ll be very unlikely you’ll see any of the anti-hangover benefits of it. We would recommend taking in capsule form. This is because you’ll get a much higher dose of DHM and its super easy to take. Taking a few capsules at the end of the night is no problem. There are specific hangover drinks on the market too, which are also pretty good at delivering high doses of DHM. The only thing is, you may not want any more fluids at the end of your night of drinking and also they may not taste too great. Next, we’ll explore the best places to buy DHM and take a deeper look the products on the market today. If you’re looking for something to prevent hangovers, then your best bet is investing in a specific hangover supplement. There are several good products on the market today which include DHM in their ingredient list. But which one do you chose? The most important thing to realise is that DHM is not the only ingredient that works for hangovers. Alcohol affects your body in many different ways and DHM only targets a few of the negative effects. Thankfully though, most hangover products include an array of different ingredients which cover all bases including hangover related anxiety, liver health and improving mental alertness. One of the rat studies used between 1 – 15 mg / kg of DHM to prevent hangovers and found that any dose within this range did the job. If we extrapolate this to a 155lb (70kg) adult, this would be around 70 – 1000mg. This isn’t too helpful though because theres a massive difference between these numbers. Most hangover pills on the market today include between 200 – 400mg of DHM so if we base the amount needed from the research study, you’ll definitely get enough from most of the top products. Looking into all the studies, it seems like DHM is pretty safe to take. So far, the studies that have been published have not show adverse effects from using DHM in their animal and humans models. We also looked at the amazon reviews of products only selling DHM and most reviews don’t mention any side effects. Some reviews mention that they has some abdominal discomfort. Everyone is different so its to be expected that some individuals may experience some side effects. If you’re taking any prescribed medications its always best to discuss with your doctor because there may be an unwanted interaction. Also make sure to check the excipients used in your supplement. During the manufacturing process, some supplements have to use excipients called “flow agents” to get the extract through their machines. People who experience side effects from taking supplements usually have a reaction to these excipients rather than the actual herb. Nowadays, the top products use all natural flow agents which reduces the chance of experiencing any side effects. All you have to do is look at the Amazon reviews online to see what people think of supplements containing DHM – its full of 4 and 5 star reviews. There are literally thousands of reviews online with people reporting DHM works for hangovers. Most of the top products on the market today include DHM with an array of other ingredients for good reason – because although DHM is great for clearing alcohol from your system, it only combats part of the overall hangover process. DHM is making waves in the scientific world, in particular with regards to its hangover preventing properties. It’s a natural ingredient thats been used for thousands of years but only now are we utilising its full potential. It’s important to emphasise that DHM is NOT the only ingredient to look out for in your quest for the best hangover supplement. There are several other potent ingredients which work hand in hand with DHM. This includes, ginger, N-acetyl cysteine, Turmeric, Milk thistle, L-theanine and B-vitamins to mention only a few. Taking DHM on its own is only fighting part of the battle and its essential to cover all bases to give yourself the best chance of waking up with less of a hangover. As always, it’s important to take the practical steps like eating before going out, keeping hydrated while drinking alcohol.